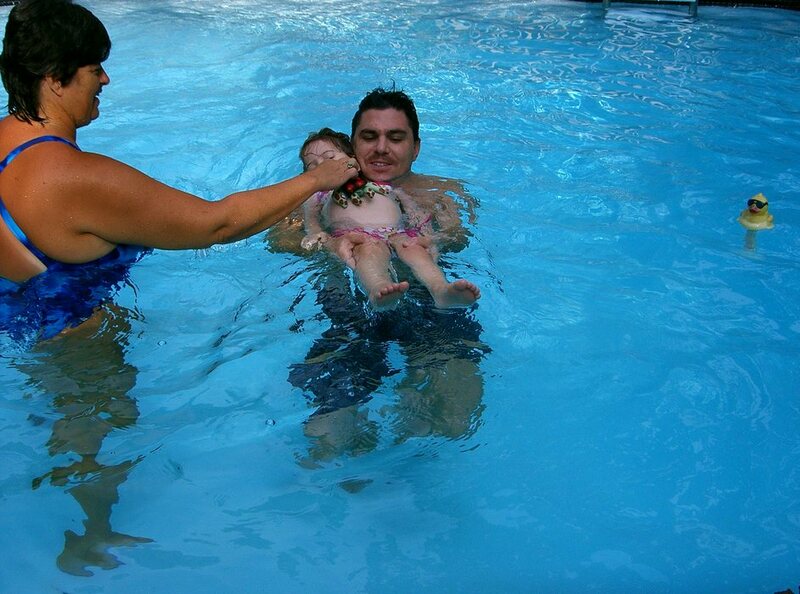 We offer all levels of baby & child swim lessons. Our instructors receive over 100 hours of 1 on 1 training in the Montessoro Method before teaching their own swim lessons. Our instructors are also Certified American Red Cross Water Safety Instructors and/Lifeguards. In addition, they have American Red Cross First Aid, CPR/AED for the professional rescuer certification. 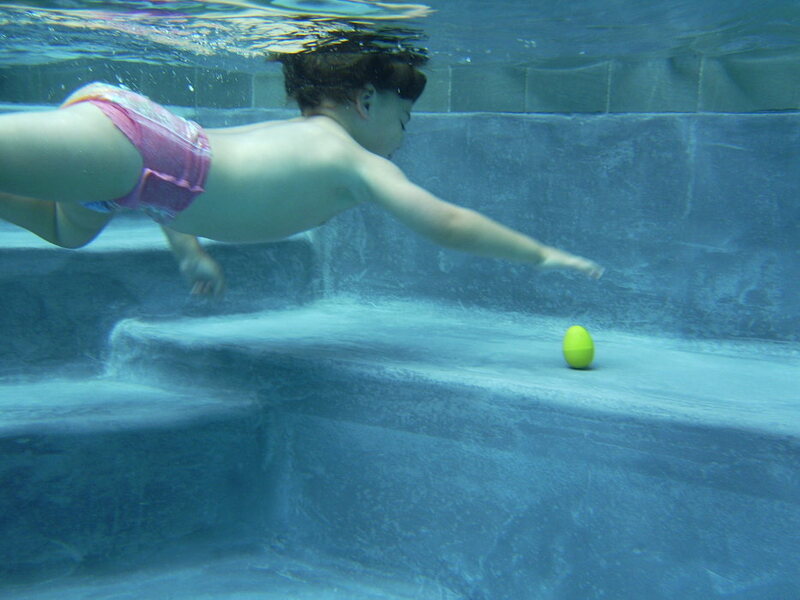 We believe that everyone can learn to swim no matter the age, ability, or level. Come learn with us! Private baby swim lessons can start as early as you like, but typically start at age 6 months. 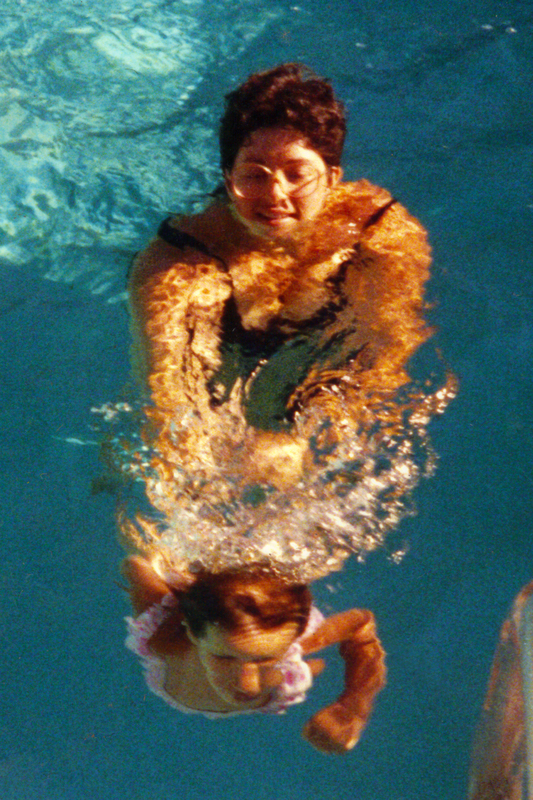 Usually, babies under 12 months old are taught in group swimming classes. Our babies (and parents) LEARN together! Lessons can be either one on one with the instructor or it can be a private parent and me lesson. Swimming lessons can be every week or every other week. Our instructors teach parents what to do with the baby in between lessons while they are growing stronger. It’s important to introduce your child to the water at a early age. That’s why we offer private and semi-private Parent & Baby Swim Classes. These classes are for children ages 6 months to 2 years and are designed to introduce your child to the water in a fun and engaging way. We use games and songs to teach children the fundamentals of swimming, like kicking and blowing bubbles. We also incorporate safety and swimming drills into the lesson. 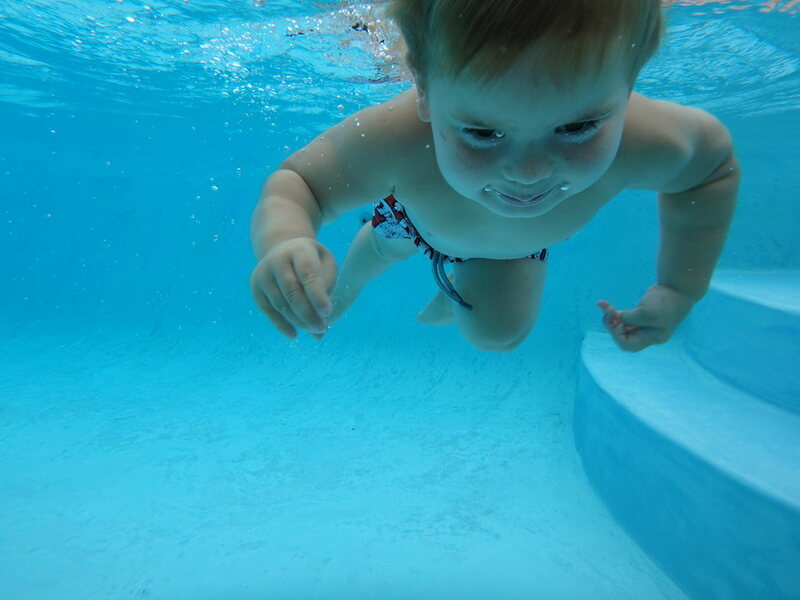 Private toddler swim lessons usually start with babies over 12 months old. Please note that the younger the child is the longer it will take to become water safe. 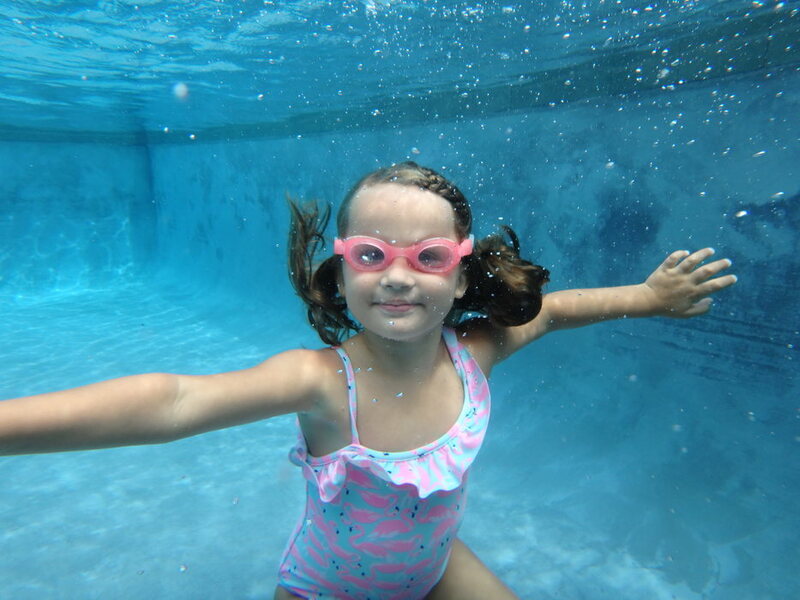 On average our 2 year olds can jump into the pool and get back to the wall, swim to the parent off the steps, and swim back to the steps by the end of the summer when lessons are done 2-3 times a week. 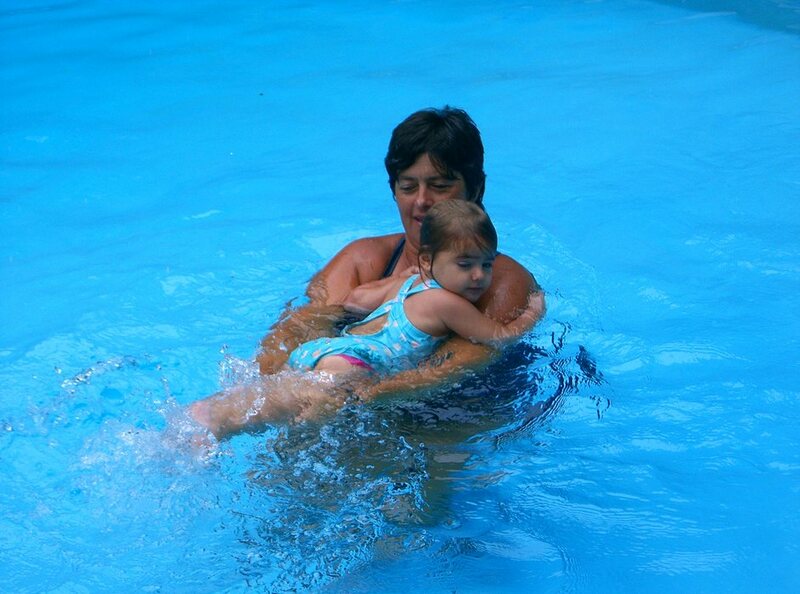 With our toddlers we strongly focus in water safety while teaching all strokes in a fun way. Even if the toddler does not put their face into the water, our method will still progress them faster than other methods, because when they finally put their face in, they will know their strokes! NOTE: As all children are different, this is only an average. If a child refuses to put their face in, they will not be forced to do so. WE DO NOT RECOMMEND FORCING CHILDREN OVER 18 MONTHS! 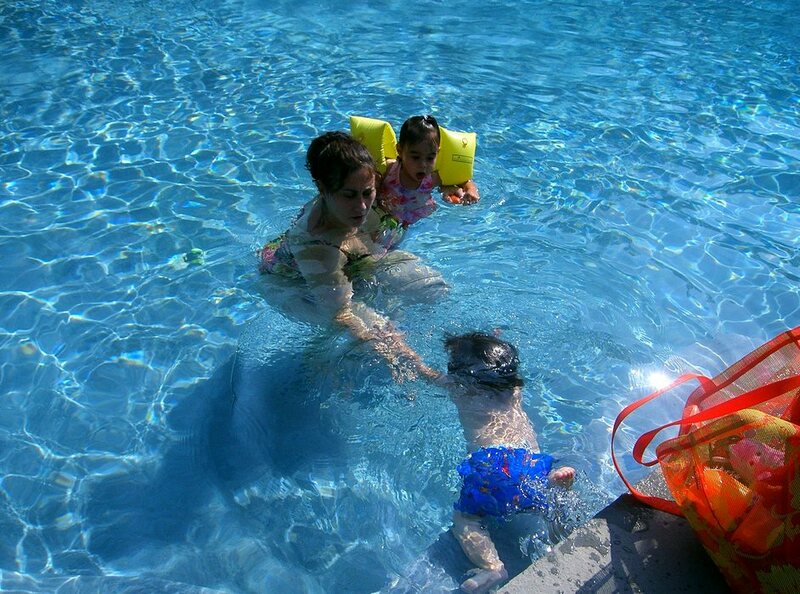 If a child terrified to put their face into the water then, we recommend intensive, daily lessons to get them to swim. Talk to Vicki before scheduling for a full explanation. Our preschool lessons are quite unique! Our instructors are creative and high energy throughout each lesson. For these ages we use psychology and non-verbal ques to help us teach the student in a fun way for them. Instructors teach the swimming lessons with toys and games, both to distract the student from being afraid and to keep the student engaged in the lesson. Every game, use of a toy, song or “play” has a rationale behind it. Although to parents, they may look like time wasters, they are in fact teaching the student to learn in a different way. We use these techniques to help our students learn to swim faster. 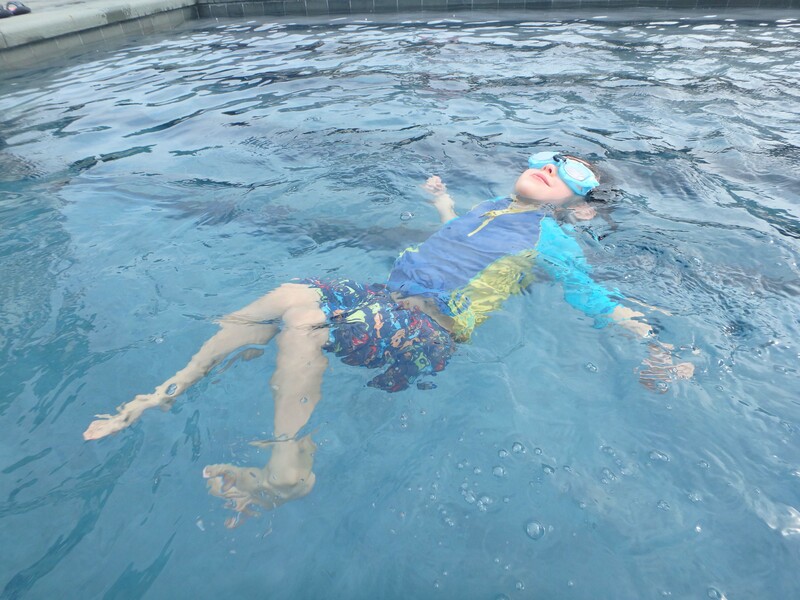 Our learn to swim lessons are similar to the American Red Cross levels, except our students are usually 2-3 years younger than their learn to swim counterparts. Therefore, our progressions are more developmentally appropriate to a younger child learning advanced strokes. Our students simultaneously learn all the strokes. Adults are more than welcome to learn from our well trained instructors. 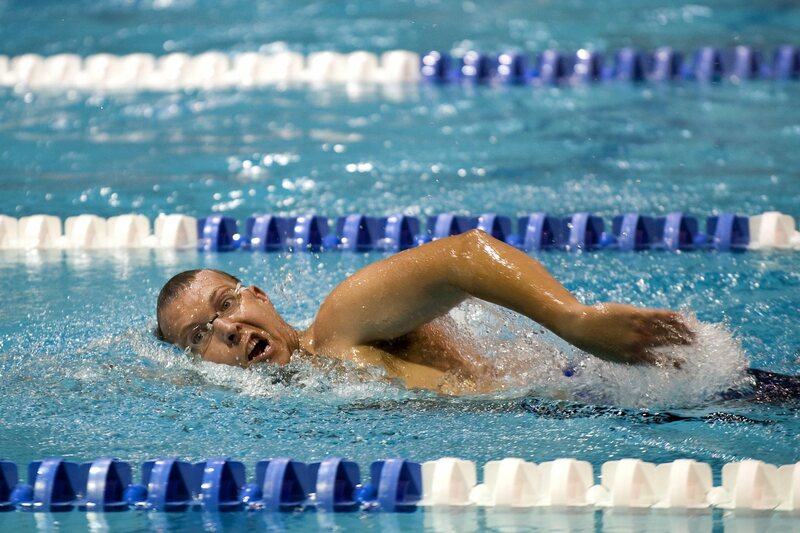 We teach adults of all ages, levels and swimming abilities. Whether you are a terrified non-swimmer, a triathlete that wants to improve their swim time, or somewhere in between, we are dedicated to make everyone a great swimmer.